Below is an interview with Veronica Taylor, voice actress of Ash and Ash's mom in Pokémon and Amelia in The Slayers. The interview originally appeared in Animerica Volume 8 #7. 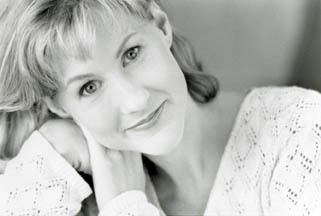 Veronica Taylor also has her own website at http://www.veronicataylor.net/. The site hasn't been updated in ages ("Keep watching every week for new Pokemon Johto League episodes!") but is still worth a look. As an actor, Veronica Taylor is classically trained performer, with a BA and an MFA in the art and years of experience in voice-overs and commercials. However, her anime voice-acting career began casually, when she was recruited by her acting coach as a young female voice. Simply by “just being at the right place at the right time,” she’s become one of the best-known voices in America as Ash, the star Pokemon trainer in the Pokémon TV series. “Pokémon doesn’t take up a lot of time--it’s really just two days a week, but it’s been my main focus,” Taylor says. “I’m just pretty much available whenever they need me.” In fact, she has few other projects in the works to report because, lately, as she says, “I’ve been consumed by Pokémon.” But even with such a public voice, she doesn’t exactly have the problem of people recognizing her voice on the street--in fact, it seems that most people, even fans, barely have an idea who she is. “I have received three pieces of fan mail,” Taylor laughs. “Sometimes if I’m on the subway and kids are talking about Pokémon, or maybe looking at their trading cards or something, I’ll ask them questions about the show, and maybe I’ll whisper, in my Ash voice, in their ear,” Taylor laughs. “But I’d never do the voice with face attached to it because it would blow the whole cover, you know. Although most kids don’t seem to mind that the voice of Ash is played by a girl. Most kids don’t believe it, but then they say, “Well, how did you win that badge?" Were you quite a fan of animation? I’ve always loved animation. I grew up on a lot of Disney cartoons-Fantasia, Sleeping Beauty, and Cinderella, those ones. I loved Speed Racer when I was growing up. And Kimba. Those were really big for me. I’ve always been a huge Scooby-Doo fan and huge cartoon fan. I guess it has always been a dream of mine to be able to do voices for cartoons. Although I love acting on stage and I certainly wouldn’t want to give that up, but it’s definitely a great job. Sort of that dream-come-true thing. When you were young, would you try to imitate your favorite voices? I’ve never done that. I know there are a lot of people who do, but I don’t really do a lot of voices. I think when I go to an audition, if we see the character, or for anime if we get to hear the Japanese voice sometimes, then you have an idea of what they’re looking for. And the pitch of the voice. So for that, I kind of play [my performance] off that or what the character seems to be, and just kind of throw it into a voice. I don’t really have a bag of voices that I use. I mostly just interpret, and see what happens. You said that you initially got your first job because they were looking for a “young woman” type of voice. Do you find that you are usually cast for those roles, or are you more versatile? I think my range right now is the high, young voice--I have the boy voice now. Sometimes in my mid-range—I play Ash’s mom in Pokémon —and then I also get those low, sultry voices sometimes, so there is kind of a range, I would say. I do audition for the same people a lot, so I am allowed a stretch in there. Often you have to be pigeonholed just to start getting work, and then you’re allowed to expand your repertoire. I’m at a point right now where they know me, so they can say, “Well, I think she can do this role,” and then I can audition for it. Okay. Is there a particular type that you are more comfortable with? Well, at the moment, with playing Ash and playing Amelia, it’s really great for me. Playing a 10-year-old boy with that energy and excitement, and the battles that he’s in, and his low, husky voice is really terrific. Ameila is on the flip side of that, and it’s a great release to have her and not be stuck in that Ash-ville. [LAUGHS] It’s really great, because she is so high, and when you’re talking in a high voice it kind of gives you a head rush, so I have a great buzz coming out of recordings for Amelia. I’m very comfortable with those, and that I get to do them over and over-it has been really nice. In your experience, having been a fan of animation when you were younger and working in Japanese animation now—what do you think are the main differences between Japanese animation and American animation? My brother says—my brother who is 11—says that in Japanese animation the tongues are always pink. [LAUGHS] That’s true, that’s what he has noticed. I think that the artwork of it is very different. The color, and, I hate to say, the simplicity of it, because it’s really not just that the style is so different. You mean it’s more natural? I don’t know. If you look at Batman: The Animated Series and Pokémon, the styles are so completely different. A lot of it is the color and the largeness of picture. There’s such finite detail in, say, Batman and it’s not so much in Pokémon. It’s broader strokes. Right now there seems to be so much more anime on TV that you can pretty much tell right away. A common thing in anime is that the eyes are so much bigger and rounder than what American cartoons have, but those are such simplistic observations. [LAUGHS]. Well, thematically is there anything that strikes you? Well, you know I think that for most anime that I’ve seen, it seems like there are definite morals within the stories. Just to pick on Pokémon for one example, it’s always about being truthful and about loyalty to your friends and you’re always learning something about yourself or how to be in your community, I think. That I find more than in American cartoons, that they do try to teach lessons, however hidden they might be. But they do teach you something, or try to. Has your impression of your character, Ash, changed over time because you’ve been doing the show for quite some time now? I don’t know. I think the scripts are changing a little bit. He’s gotten a little more courageous, I think. I really enjoy playing him and he’s really a great character, so that hasn’t changed, but I feel that after the first ten episodes everything has kind of loosened up. The script’s loosened up, the characters were able to come into their own a bit more, and I think everyone has relaxed a bit; we’re able to play with it more, whereas in the first ten episodes, I think it was so new, and everyone was just trying to make sure it was done right. Even in Japan, I feel that was really hard. I enjoy playing him now much more than I did in the very beginning because I can have fun with him more, and we kind of know him and can work out how he really would react. We have the classic Ash responses [LAUGHS] and things like that. I definitely have more fun playing him now than in the very beginning. How does it feel knowing that you are a part of this giant cultural phenomenon? Let’s face it, everyone knows what Pokémon is. [LAUGHS] Yeah, it’s pretty exciting, I have to say. I always wanted to do something on PBS, something that was good for kids, so this is the next best thing. It’s not on PBS and we have commercials running with it, but at least it is teaching kids something. It s a good show, so I’m pretty proud of that. I’m also pretty invisible with the whole thing, so it’s my own personal feel-good thing—I don’t get much recognition from the public from the people I work for, so it’s low-key on that side of it. I feel very great about it and really proud of it, and we really try to make sure that the grammar is correct and small things like that to make sure it’s a really good show, as much as we can. Getting back to the whole acting aspect, I’m sure you’ve acquainted yourself with other people in the voice-acting trade. Have you discovered that a lot of the best voice-actors come from acting backgrounds or are those not necessarily related? Some just have the aptitude for it. They do. But for me, [acting training] definitely helps because I’m able to use my background in it, and I think it makes for a richer character. If I were to approach you at a big anime convention you were attending and ask your advice in how to get started in voice-acting, what would you recommend? Well, I think…gosh, it’s so difficult. Especially because in being a voice-actor there is so much competition, and like I said, the way I got in was pure luck, really. But before that was a lot of hard work, and I studied and I really made sure, first of all, that acting was something I wanted to do. People say, “If there’s anything else you can do, do that instead.” So I think the advice is to study and learn as much as you possibly can in all areas. I have a BA in theater—I didn’t go to a conservatory school just for acting for college because I think you need to have a well-rounded background in life. I think that [your life] informs your acting, and I think you need to study as much as you can in all aspects, and that will inform your acting career and then you have to pursue...I don’t know how anyone gets into voice-acting. [LAUGHS] You need to make a voice tape, that’s probably one thing, because you have to have something that shows what you can do for people. It is just your voice, and they don’t need to know that you look like at all—they just need to hear an example of your voice. That tape is your calling card. It sounds like you should not commit yourself solely to this. Diversify your interests. Yeah, I think so. Also, as an actor, you have to be ready to do any work that comes along because you don’t know what will come up. You do have to diversify your talents and you have to make sure that you’re prepared for anything. Speaking of things coming up, do you have any new projects on the horizon, or is it just more Pokémon? Right now, we’re doing the second movie of Pokémon. We’re continuing with The Slayers—Slayers Try, I believe it is, and the third season of Pokémon has just started. That’s pretty much what I’m doing right now, other than auditioning for other projects that come up and trying to get other work coming. I’m incredibly busy but, as with most acting, I don’t have anything to show for it. [LAUGHS] It’s all in the works, y’know. Do you have any interests in the technical aspects of your job? I know that a lot of voice-actors seem to end up either directing or scriptwriting. I do have an interest in both scriptwriting and directing, although the timing is not good for me right now. But I definitely have interest in those, and if the opportunity were given to me I would definitely take it. Do you have a closing message for your fans out there who will be reading this interview? Oh God! [LAUGHS] Well, I don’t know. My whole thing is always so corny but I think people really need to follow their dreams, and I know that this has been something for me that I have always wanted and it has worked out. It’s always so corny. It’s only corny if you convince yourself that it is. It’s worked out for you. [LAUGHS] Yeah, it has. You know, I hope that can be in some way inspiring, and that people can just keep going, no matter what career they choose, that sometimes it really seems hard and bleak but if you persevere I really believe it can work out for you.